I personally believe that how a daddy and son negotiate the outside world together is important. The ‘outside world’ should be treated with as much respect and care as you have for each other, and that can mean being conscious of not offending other people. These can be ‘adult-like’ discussions between a daddy and his son. Your son has the right, for example, to express his feelings about diapers in public places or noticeable baby attire. Once he’s expressed those feelings, he’ll let daddy decide what’s right, but he can play an ‘adult-like’ role in contributing to those discussions and decisions. There is an incredibly special bond between a daddy and a son. Through that bond, you are able to find an incredibly safe and loving place in the world. You don’t need to agonize over things – you’re the daddy after all. But remember that your son wants to go out into the world with or without his daddy and feel the extension of that safety you’ve provided. You need to respect his feelings about safety, and you also need to respect people in the world around you. Some ABs might dream of being pushed in a pram through the local mall, but to me at least that would show a disrespect for other people. Besides – I actually feel like it’s a more special bond when a little guy has diapers on under his pants and it’s likely only his daddy who is aware. He’ll feel a special sense that his bond with his daddy is strong in part because only daddy knows and knows best. Nothing in how other people might perceive him, or your relationship with him, changes one fact: he’s your baby boy. There isn’t “little time” and “adult time”. There may be adult-like activities but that doesn’t mean that he is now being his ‘adult self’. He’s your little boy and that never stops being true, you never slip in and out of that fact as if it’s playing a role. 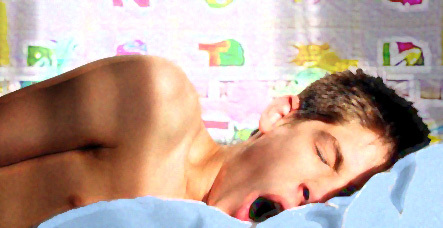 So when nap time rolls around, simply ask yourself this question: does a little boy need a nap in the afternoon? My personal answer to that question is yes. But let’s face it: even little boys will try to assert themselves and nap time is a prime time for them to make a fuss. It may seem like he’s being rebellious or disobedient. – You’ve spent a wonderful Saturday morning with your little fellow. You had morning bath times and fed him, you played with him and then let him play alone with his cars, you gave him his sippy cup and maybe you took him to the park. And now, with nap time looming, it might seem to him like daddy wants to be apart from him. Remember that an adult baby, when he’s in the loving care of his daddy, becomes very emotional – feelings fly through him because he’s finally allowed to let a side of himself out that has long been suppressed. What in an adult might seem like baffling swings of emotion is, in an adult baby, a sign of trust in his daddy and shows that he feels safe enough with you to let himself be fully who he is. 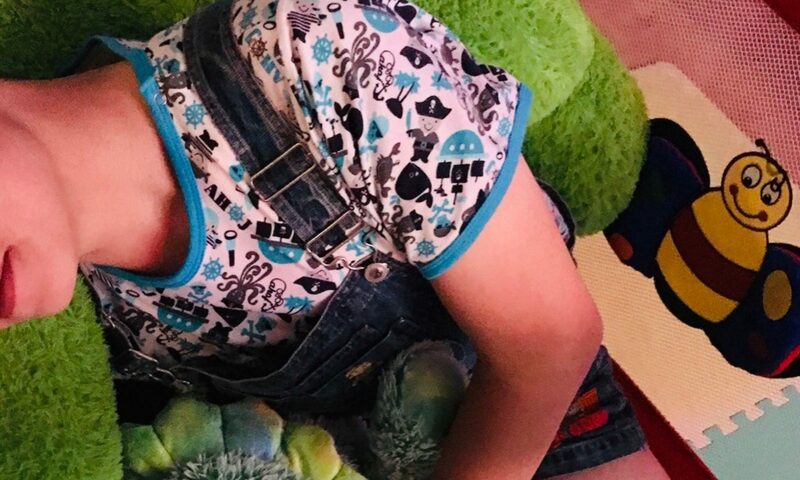 He may not be able to put it into words, but inside there might be a little separation anxiety – nap time means ‘no daddy’ time, although it’s only a feeling and not something he’ll explain. – You’ve given your boy positive feedback. It’s the way you are and it comes from your heart: your baby boy makes you so proud you sometimes feel like you’ll burst. And so in his mind, making daddy proud is associated with your affection, attention and love. But sometimes he will also associate making daddy proud with trying to be a ‘big boy’. Little boys get tired and need naps – but big boys don’t need naps and they can hang in there as long as daddy does. It won’t cross his mind that even though his day was filled with adventures and play, it’s also tiring. And most important, it’s those waves of feeling that can tire a little guy out. Before he met you, he had things bottled up inside. Now, he’s able to give in to daddy’s care and this can cause him to experience amazing amounts of emotion. So, your little guy is conflicted: he wants to make daddy proud, but he’s also tired out a little, and the result is a fussy little boy when it comes to nap time. Patience and understanding will do wonders over dragging your little guy kicking and screaming for a nap. This doesn’t mean you shouldn’t be firm, but first and foremost remember that your little guy needs a few things: time, assurances, positive feedback, and comfort. He needs time because a little guy will often process things more slowly. Emotions might come quickly, but his attention span is often very much focused in the now, in his play, and so you need to slowly bring him to awareness of nap time. Tell him ahead of time. And then tell him again: “It’s your nap time soon son” or “Daddy will get you down for your nap soon”. He needs assurances that nap time is special way of showing love. That daddy isn’t ‘putting him away’ he’s ‘putting him down’ – which means he’s helping to bring him to a quiet, calming space so that his tenderness can feel protected and have a bit of rest and softness. Say to him: “Daddy wants his little boy rested up so we can have lots of snuggles and play time later”. Give him positive assurance of your pride and love. Tell him how proud you are of your boy for being a good boy about his nap. And finally, give him comfort, and do so in a tangible way. Ask him which plushie he wants with him for his nap. Put him in his sleepy time diaper. Dress him in a sleeper or footies so he’s nice and cozy. These are tangible, specific things and they can mean the world to him. Now, you might still have a fussy boy on your hands, but that’s OK. Take it as a sign that he’s showing how much he needs you: he’s more tired than usual, he’s experiencing something inside and all he really truly needs is for daddy to remind him that yes, he is his daddy. Be firm. Don’t negotiate. You may need to use punishment but this is exceptionally rare. Stay in touch with your own joy that you have a little boy to care for and you’ll find yourself, more often that not, smiling inside that your little guy needs you to give him the structure and guidance he craves. Slip back into the room after you’ve put him down in his crib. He’s asleep now, sucking on his paci softly, his teddy bear tucked under his arm. The peaceful little boy you see is resting up, the vulnerable and special little boy you know and love has a safe space, and the emotions inside him are settling down. Awake in the feeling of being in his daddy’s total care he can feel scared sometimes, giggly other times, loved, proud, sad, and needy. Now, he’s down for his nap he has the safety of his crib, his diapers, his plushy and paci to settle down, to rest up, so that the little boy inside is ready again to come out and play. Yes, daddy, you know only too well. When I pretend to be a big boy, I think a nap is a great idea. However, the little boy fusses when I think that I will be separated from daddy. The time, and nurturing is a great idea. My night diaper and cozy sleepers always help me to settle down. daddy knows what it is like for a baby boy who struggles against taking a nap and then finally gives in to that safe, sweet space daddy has provided. when daddy tousles my hair or hands me my teddy bear all resistance fades and i let go of any attempt to be an adult…its nap time for the widdle boy. oh the irony of naps. As chronological little ones we fought against them and now we relish the idea. Usually i get tired around 1pm or so and if i dont take a nap i usually fall asleep were im sitting. Like in a chair or on the sofa although i usually fall over and lay down on the sofa than sitting up while sleeping. For those that wanna know some more i have fallen asleep on public buses/Max light rail train. To help me fall asleep my daddy puts on Lord of the Ring Return of the King Into the East it’s a really nice song that helps me relax and think about life in Middle-Earth. I listen to saima(journey through the fairy land) reality slips away and when the song changes movements so does the faerie land. Yes I believe in faeries. The song is hypnotic though. Though I don’t have a daddy 🙁 so I have no.one to.put me down for a nap. And I still live at home I’m 15.